Tracy Saab is a young French-Lebanese fashion designer who lives between Beirut, Paris and Valence (in the South of France). She has worked for such prestigious brands as Givenchy, Louis Vuitton, Elie Saab, Emanuel Ungaro and, more recently, Gérard Darel; now she is launching her own brand called “À la française by Tracy Saab”, debuting with a line of luxury bags. We asked Tracy to describe the woman she designs for. She explains that her bags are intented for a distinctly Parisian woman, urban and elegant, who is also a working girl and who creates her own fashion. 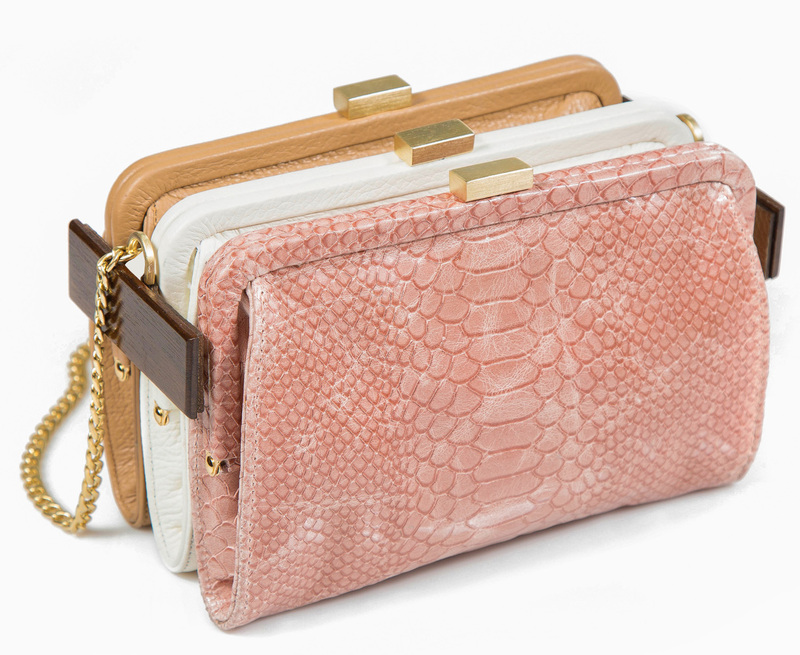 Her lifestyle requires bags that are suitable both for a work day and a trendy evening event. Tracy thinks that this very “Parisian” image also meets the concerns of a Lebanese woman who wants to assert and show her independence and also a woman who loves to seduce and dress up on important occasions and events. She takes care of herself and likes to show it. 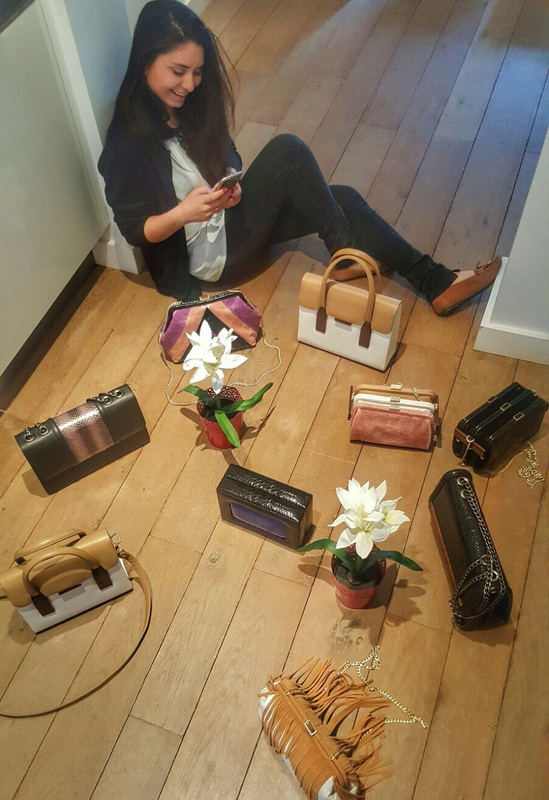 From Lebanon, Tracy Saab also retains the quality of the know-how of luxury craftmanship: therefore all her bags are made in a Lebanese manufacture where all is handmade. The materials range from cowhide leather, sometimes printed with snake patterns, to sea perpent skin. The interior is made of lambskin, chosen for the finesse of its texture. The shoulder straps are made of leather, or in patinated metal. The use of vine wood decorative elements in some models adds an original retro look. 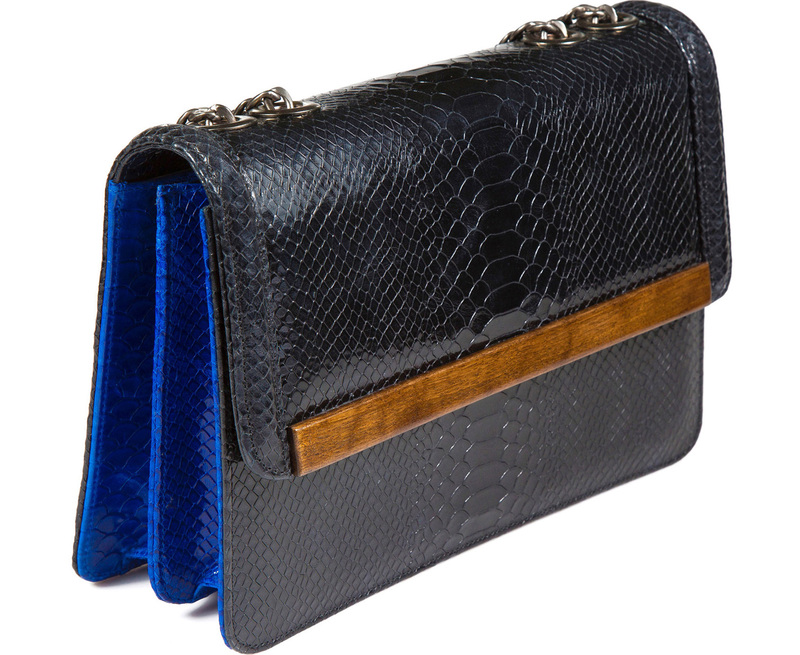 There is also an evocation of the 1970’s with a snake leather bag with stripes in unexpected colors of pink, purple and black. 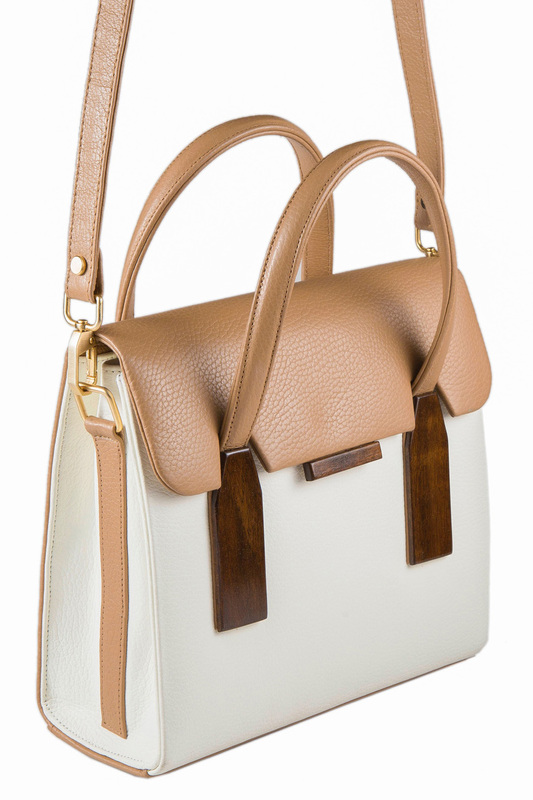 One of the most spectacular pieces of the collection is the bag with three pockets in soft tones of pink, camel and white, a design that is already a great success! As Tracy Saab’s bags are not yet available in shops or on the web, you can contact her and order the bags of the collection by emailing her at me@tracysaab.co. You can also see the complete collection here on Orient Palms.